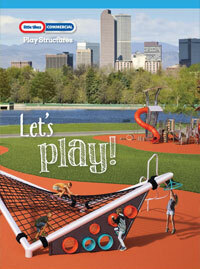 IPEMA: The International Playground Equipment Manufacturers Association. In the interest of public playground safety, IPEMA provides a third party certification service whereby a designated independent laboratory validates a manufacturer’s certification of conformance to the ASTM F1487 (excluding section 10 and 12.6.1), Standard Consumer Safety Performance Specifications for Playground Equipment for Public Use, standard. The American Society for Testing and Materials is an independent and world-renowned developer of technical standards utilized in testing a multitude of products. ASTM’s F15.29 committee, chaired by Dr. Francis Wallach, met consistently for over a decade in the continual development of the F1487 Standard Consumer Safety Performance Specifications for Playground Equipment for Public Use. Access Board (The United States Architectural and Transportation Barriers Compliance Board) has completed Accessibility Guidelines for Play Facilities as set forth in the Americans with Disabilities Act of 1990. The Georgia Recreation and Park Association was formed in 1945 as a private, non-profit Institution to support and promote the recreation and park industries within the state of Georgia. It is the only state organization that serves as an advocate for quality recreation and park areas, facilities, programs and services at the local level. For more than 100 years, NRPA has been the voice advocating the significance of making parks, open space, and recreational opportunities available to all Americans. A worldwide partnership formed to contribute to the advancement of the playground building industry by promoting playground installation as a legitimate contracting profession within the playground industry.